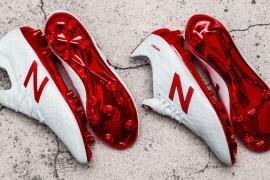 Many of you will have seen the new black, white and comet red colourway of the Nike Total 90 Laser II and last night Manchester United’s Wayne Rooney was kitted out in the second of three new colourways of the football boot, in white, black and blue sapphire. 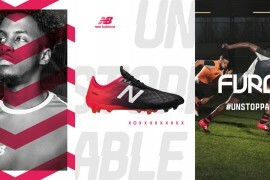 The football boots got a winning appearance as United beat Middlesbrough 1 – 0 in the Premier League to close the gap on leaders Liverpool to 7 points with 2 games in hand. The third Total 90 Laser II football boot in the new colourway triumvirate comes in obsidian, white and metallic silver. For those of you not too familiar with the word obsidian, the dictionary definition is: a volcanic glass similar in composition to granite, usually dark but transparent in thin pieces, and having a good conchoidal fracture. Dressing rooms around the country will all soon doubtless hum with the sound of players discussing the conchoidal fracture qualities of their football boots. Or maybe not! Integrated offset lacing system provides increased football boot to ball contact surface, minimizing uneven ball strike and allowing greater ball control, accuracy and swerve. Revolutionary V-Twin lacing system maximizes strike zone and optimizes fit allowing the true fit of a traditional boot, without compromising the contact zone for ball strike. Improved Shotshield technology on front of foot provides cleaner ball contact and superior control to allow the athletes to place the ball more accurately. The technology continues to utilize the precision ring technology used in its predecessor, providing increased accuracy through refined placement and design. Teijin synthetic leather and engineered mesh work together to help protect the foot and maintain a constant temperature environment throughout a full 90 minutes. Water resistant eVENT membrane enhances breathability and keeps the foot dry. New high density outsole component supports and stabilises the planted foot when striking the ball. Individually engineered hybrid studs are positioned for optimal traction and comfort, e distributing pressure evenly across the foot. An engineered sockliner provides improved arch and heel support whilst it’s unique anatomical design leverage’s multiple material densities to help distribute pressure and provide a tailored fit and feel from heel to toe. Improved external heel counter cup provides added stability and works in combination with a moulded foam package to create a superior feet and heel lockdown. The 3 new colourways look really good! Obsidian???!! Wasn’t he in Lord of the Rings? you’re wrong. mascherano made its debut for liverpool the day before. 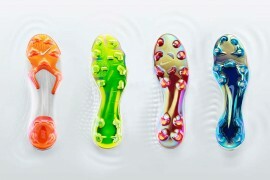 man I have both vapors 4 and and laser 2. 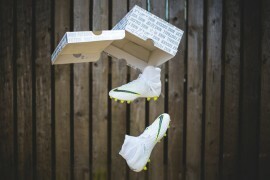 I have to admit I prefer my vapors. But hey the new color is pretty sick. It creates great competition for my choice of what boot to buy for the new year. The citron, or the saphire..? Anybody help..
kevin, citrons are without a doubt the best boot nike vapors to buy if you want people to look at you and still have a good coloured boot. 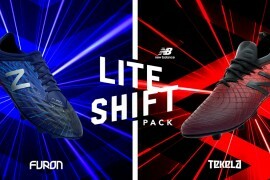 kevin i have the blue vapors and the red lasers i personally think the lasers are better! 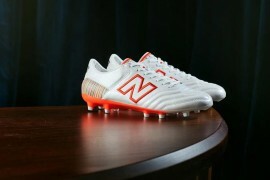 Saw Torres wearing it and I got to say, among all the boots, I still prefer Laser II!